Leaving this here to make for later! Looks DASH friendly! 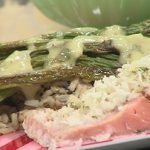 A wonderful video I wanted to share about the MIND diet, which is a hybrid of the DASH and Mediterranean diets!! It was developed to help prevent Alzheimer’s disease. I have followed a hybrid of the DASH and Mediterranean diets, since June 2009! As of this June it will be 10 years! I made many changes since, including a switch to drinking red wine over white, which at the time I did not care for. Now I far prefer red wine over white. I was only instructed to follow the DASH diet by my Doctor back in 2009 for my hypertension, but I modified it, because both my mother and grandmother had Alzheimer’s disease. My grandmother who has now passed away, did not get it until later in her life, but my Mother, unfortunately, got the disease very early in life. She required hospitalization and full nursing care by age 70. I figure if a hybrid MIND diet helps me avoid or even only develop the disease much much later in my life, then it will be worth it. 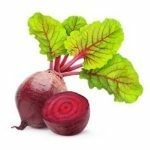 Could beetroot fight salt-induced high blood pressure? I think if we spent more energy and resources teaching people how to follow low sodium diets like DASH, it would be helpful. There is a lot of misinformation about the effects of sodium on the body out there and many people believe it is good for them until they get sick and are told it is not. Yes, just telling us to eat more veggies and fruit is good (i.e half your plate), but if I am still dousing my rice in 2-3 tablespoons of soy sauce, 5 times a week, I undo a lot of the good I gain healthwise from the plant based diet. 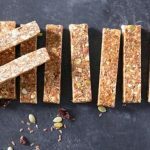 Although moving to a DASH diet that contained no more than 1500 mg per day was not easy for me in the begining; 10 years later it is a piece of cake and I do it daily! It is just a matter of getting through the initial learning, organization and planning process. It can be done!! Which Diet Keeps Your Heart Healthy? 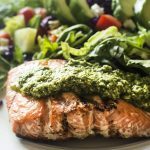 I eat a combination of the low sodium DASH diet (max 1500 mg sodium per day) and mediterranean diet and have been doing so since the spring of 2009. 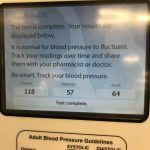 I started following the diet after my blood pressure hit 170/90 and my Doctor insisted I take action. He gave me 3 options, blood pressure meds, get on the list for weight loss surgery or DASH with large weight loss. Fortunately the DASH diet worked to help me lose 90 pounds in 18 months and I will have maintained it for 8 years, come summer 2019. 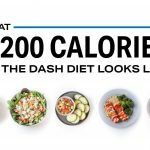 20 years of research behind the DASH diet! It lowered my blood pressure from a one time high of 170/90 to where it is today. I do not use any blood pressure drugs. I will have been following a DASH diet lifestyle for 10 years this coming June. Had to post this video link because it’s Marla and she is so fab!! 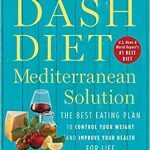 I got her new book for Christmas because I also follow a hybrid of the DASH diet and Mediterranean diets! I never followed a 1200 calorie per day DASH diet because I felt fuzzy and light headed at that level. Instead I followed a 1300-1500 calorie per day DASH diet during my 18 month calorie restriction process. The calories increased to 1500 and beyond, as my running program slowly increased. I wanted to share this handy info/visual from myfitnesspal, as well as offer a reminder that myfitnesspal is an excellent tool in itself, for following a specific diet plan/goals and for achieving or even just maintaining weight loss. The app helped me so much, I gave credit to them as one of my most key tools for successful weight loss in this 18 month photographic journal video of the process with DASH. The DASH diet wins second best diet this year. This is the first year since I started following the DASH diet in 2009, that it has not won the very best diet ranking. This year it ranks just behind the Mediterranean diet, which I also follow. I still use the DASH diet as my overall framework and do not exceed 1500 mg of sodium per day. I just default to mediterranean food choices like nuts, fish, etc as possible. I adhere to a hybrid of the two diets; given the Mediterranean diet is particularly good for brain health. I need lots of help in that area, as not only am a prone to high blood pressure, which the DASH diet controls for me, but also diseases like Alzheimer’s and dementia that run deeply within my family tree. 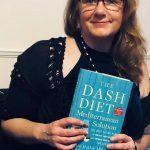 Got the DASH Diet Mediterranean Solution for Xmas! I can’t wait to read it! 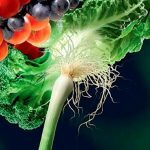 I have been following a hybrid of the diets for about 5 years now, partly because Alzheimers runs badly in my family, so it is important I am not only maintaining a diet to keep my blood pressure low, but also to keep my brain as healthy as possible! That means defaulting to Mediterranean choices, within a overall DASH framework for me (e.g. low sodium). 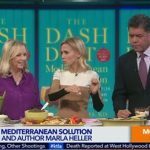 DASH Diet Mediterranean Solution for Christmas!